its prolly mentioned in another thread but not one dedicated to the IS C's front bumper.. I'm just wondering if the IS-C's front bumper can be directly bolted on to the IS-250 without any modifications. i know the IS-F front bumper looks nice but then i think its a bit too much without the rest of the fenders bulging out as well and not to mention it requires modifications. So again, jus wondering if i can just order the IS-C front bumper and swap it right on to my IS-250. Thanks a lot! i like the IS C front bumper too. i was thinking about a swap, but haven't done any research yet, so sorry i don't have the answer for you. If it's a direct bolt-on, it would be a cool mod. And if it is and you're gonna do the swap, be sure to post some pics! hope others have the answer for you. good luck! I think this is an excellent question i wouldn't mind doing that kind of swap. "happiness isn't around the corner; IT IS the corner..!" how much would the IS C front bumper cost? Any pics? Did you use the fenders as well? What parts did you need? Will the grill also fit? The is250c seems to have a wider grill than the is250. does anyone know if the 250c rear bumper is a direct bolt on to the 250 and 350 sedan? Here is another member's car. I think the car flows pretty good with the IS C front bumper. How much does an ISc front bumper run and where can it be purchased? In for more pics of the ISc bumper on a sedan! 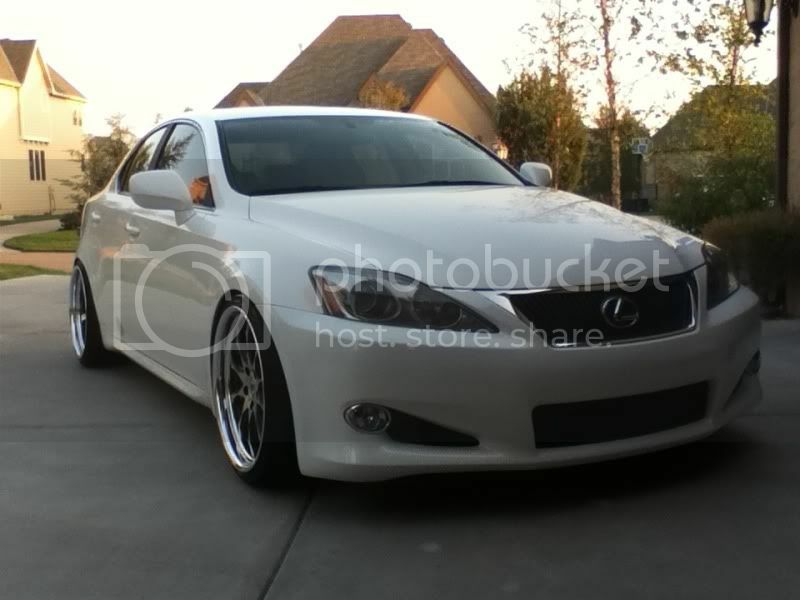 I think you can get it painted from Sewell for $450 with club lexus discount. Maybe $550 shipped. Been thinking about this conversion myself.